On May 8th, 2016 it all went bad. We were having the best test day ever with the Camaro; Matt from MT Motorsports had resolved our fuel pickup problem which had been nagging us for over 2 years, his Mega Squirt stand alone system was perfect, the new Neo Motorsports brakes were amazing and the car was fast! We were out for the last run of the day and just hit 4th gear down the front straight at TMP and BOOM! We put out enough smoke to stop the session at one point! A quick trackside look told us it was major as the radiator was almost empty and no water was on the track. Once back at the shop a quick tear down by Matt revealed an exhaust valve seat fell out and caused the chain of events you see below. 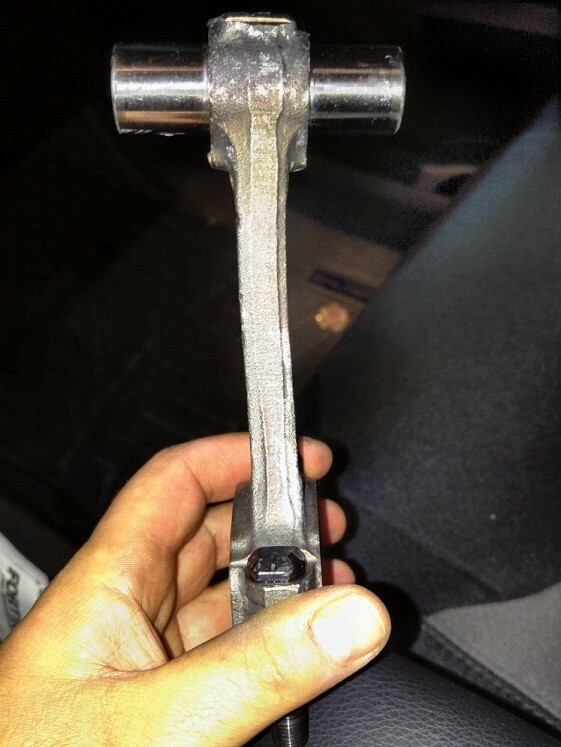 The seat rattled around, broke the head off the stock exhaust valve and that shattered the stock cast piston. 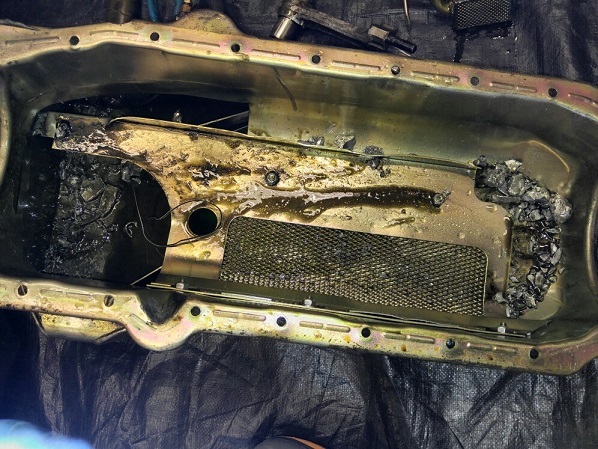 The remains can be seen in the oil pan. This new 355 cu.in. 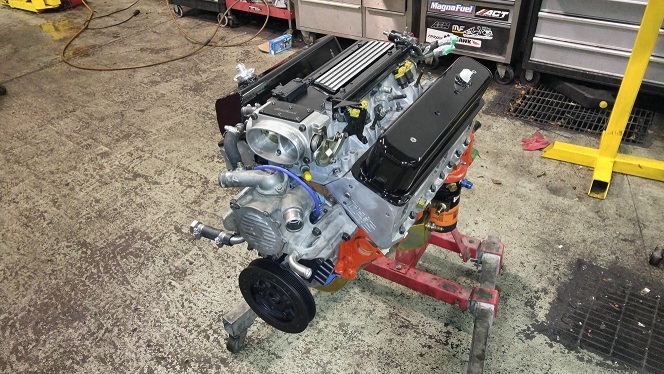 LT1 was built by Matt Savini at MT Motorsports. This engine was obtained from a friend and underwent a full rebuild. The fundamentals were there however a Corvette LT4 crankshaft was found and the entire rotating assembly was sent out to be balanced. The engine has lightweight JE Pistons, Crower Rods, TPIS camshaft and TPIS Aluminum heads. The only parts retained from the old engine were the headers and throttle body. This along with the MT Motorsports MegaSquirt ECM system dyno’s at 352 RWHP and 375 RWTQ. Remember these numbers are at the rear wheels using a Mustang Brand Dyno. This package has now been track tested and ran great! © 2018 Banko Media. All Rights Reserved.